Deb Proline's ultra hygienic dispenser featuring innovative design and state-of-the-art technology. 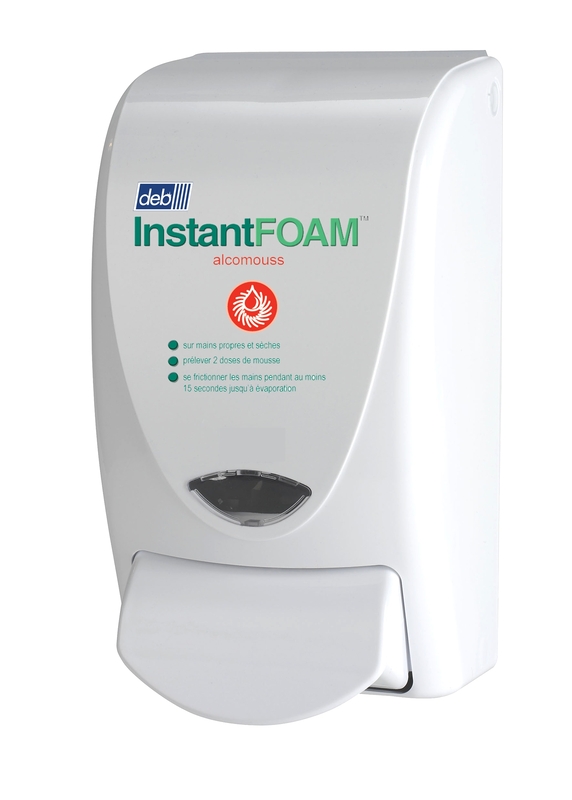 Specially designed for its complementarity with the Deb InstantFOAM range. Resistant: ABS plastic body. Easy to clean: rounded shapes without sharp edges. Large push-button for easy handling. Push system: more hygiene and fewer constraints on fasteners. Cartridge with integrated pump. Soap level display window. Locking. Fully removable: easy maintenance. Finger guard (anti-pinch protection). Dimensions: H. 233 x L. 132 x P. 115 mm. Compatible with the Deb Instant Foam 1L retractable cartridges.